Now that content management systems (CMS) have taken over as the platform of choice for publishing web sites, they have become highly targeted by groups and individuals with bad intentions. Well use WordPress as the example but they all are subject to the same security risks, update needs and vulnerabilities. That’s right, Drupal, Joomla, Magento, PrestaShop, etc. are all in the same boat. Wait even ecommerce platforms like Magento? Absolutely. A CMS is basically any platform where the user can control the content via an admin panel and that includes the content of products, videos, text, images, etc. WordPress, and the other major CMS platforms, do a great job of releasing updates and communicating security and functionality flaws. That’s the good news. The bad news is that by disclosing these issues the “bad guys” also know exactly what vulnerabilities are out there. The solution? 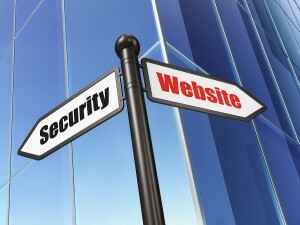 Make sure you regularly patch and update your website. This is a service eye9 provides for many of our customers and something we encourage every customer to take very seriously. Spending 30 minutes to an hour a week to ensure your website is running flawlessly is money and time well spent. Having your site hacked/defaced, functions of your website not working, or your website being down should be avoided at all costs. Watching security bulletins on your specific framework. Here is an example of a WordPress Vulnerability website. Eye9 is always happy to help, this isn’t a very profitable line of business for us but we believe it is critical to what we feel is profitable to us; happy customers. Take care of the assets that drive your business. Your website is a critical element of your business and making sure it is well taken care of is an important and often overlooked aspect of being a website owner.